Debra Van Poolen has been a plein air artist for 23 years, exhibiting her work in Washington D.C., Oregon, Montana and Michigan. In recent years Van Poolen’s artistic projects have focused on social, environmental, and foreign policy matters which the US mainstream media neglects or misrepresents. In 2017 Debra created a painting and subsequent poster (featuring a key which identifies the forty-one butterflies featured) called “Butterfly Diversity in the Cascade-Siskiyous”. 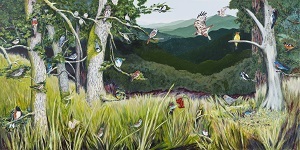 In 2018 she made a painting and poster called “Birds in Oak Woodlands of the Cascade-Siskiyous” which includes thirty-three birds. The four foot tall and eight foot wide original painting of the oak woodlands birds is the focus of Debra’s July 2018 show at the Ashland Art Center. Debra has taught drawing and painting in various settings, including schools, summer camps and her home studio. Aside from her work as an artist, Debra has worked as a permaculturist and organic farmer. She worked as an educator regarding traditional cultures when she coordinated programs for the International Society of Ecology and Culture’s Ladakh Project in northern India over a three-year span from 2009 to 2011. Local photographer Julie Bonney’s new show, Caught In The Moment, opens at The Photographer’s’ Gallery At The Ashland Art Center during the First Friday Art Walk on July 6. Julie finds inspiration in the natural beauty of Southern Oregon and Northern California. 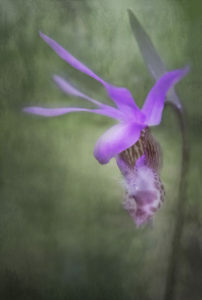 Her flower images are especially beautiful and ethereal. 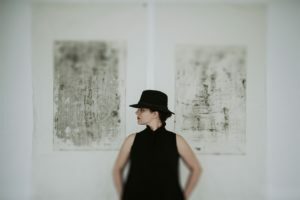 process of adding textures to a photograph is akin to painting, using textures in her photography allows for a more artistic expression of the final piece. Join us in Ashland Art Center’s main classroom, First Friday, July 6th 5:30 p.m.-7:30 p.m. for this free art event. 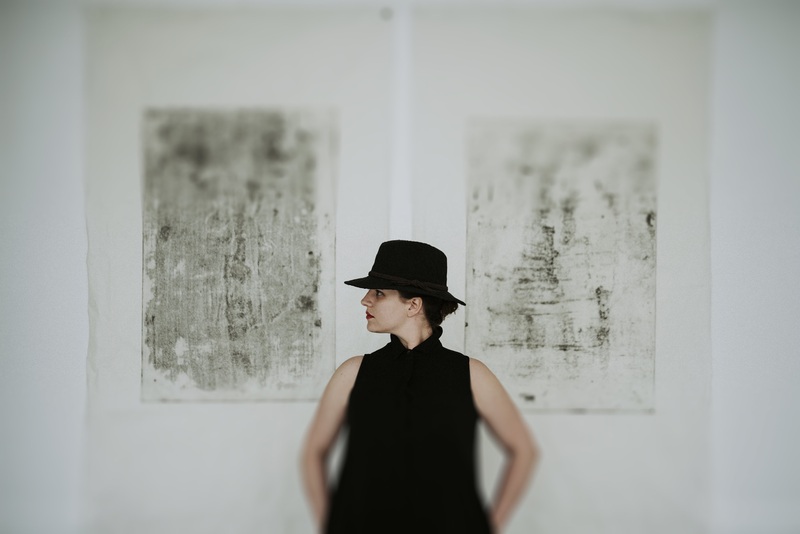 An artist talk will take place at 6 p.m., where Tiffany will share her current work and writing. Big discounts on artwork make this event a great time to purchase Hokanson’s current rust work and etchings.